Ray Farm Exeter 55+ Condominium Homes in NH. Nestled on just over 11 wooded acres in Exeter, New Hampshire, Ray Farm will be comprised of four community style buildings offering a total of 116 beautiful homes. Ray Farm will promote outdoor use of walking trails so residents can enjoy the meandering brook and natural features of this well-planned community landscape. Designed for those with a passion for life. a heated parking garage, private storage, elevator, and secured building access. 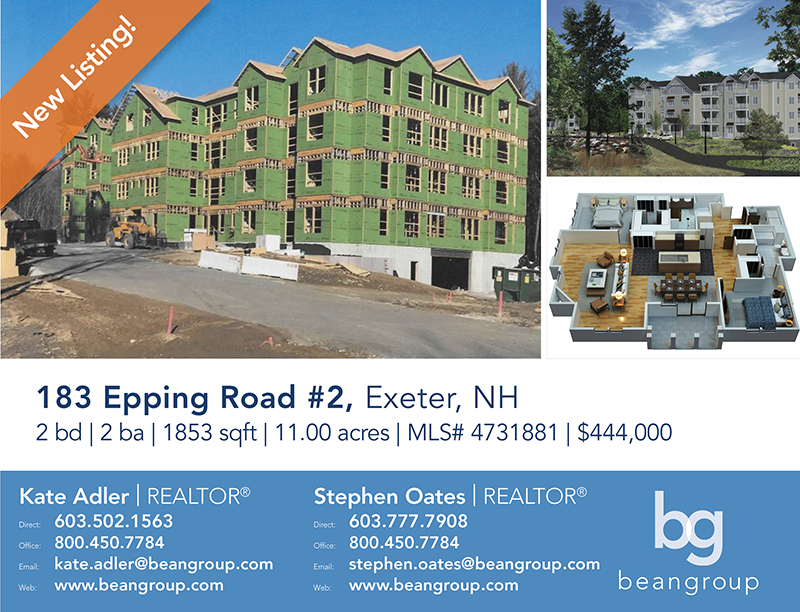 A community center clubhouse will be the gathering place for all those lucky enough to call Ray Farm Exeter home!